CES has unplugged for another year and as we get back to our regular lives, we wanted to take a look at our favorite moments; in our suite at The Venetian and on the showroom floor. There’s a lot of prep work involved in getting ready for a big show like CES. We eagerly packed our shipping crate in December with a new line of speakers. 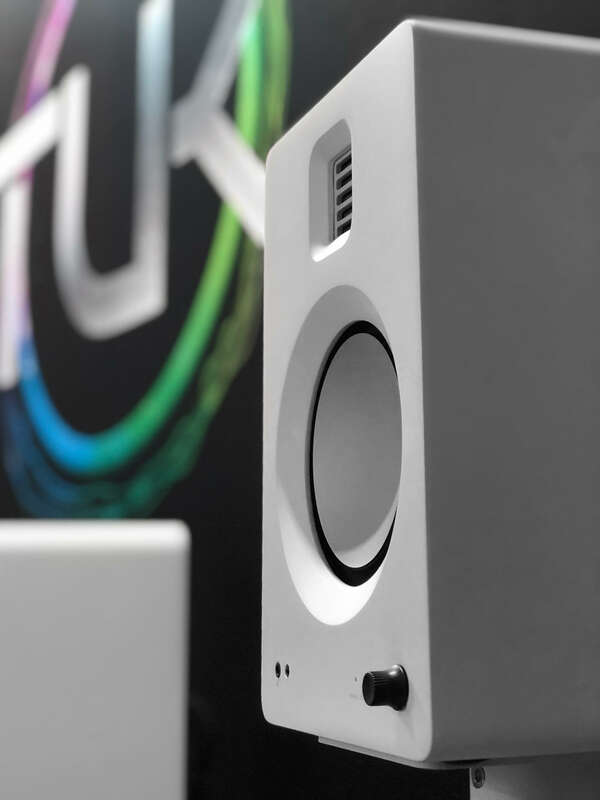 We had featured TUK at last year’s Rocky Mountain Audio Fest to rave reviews and we were excited to see what people thought at CES. 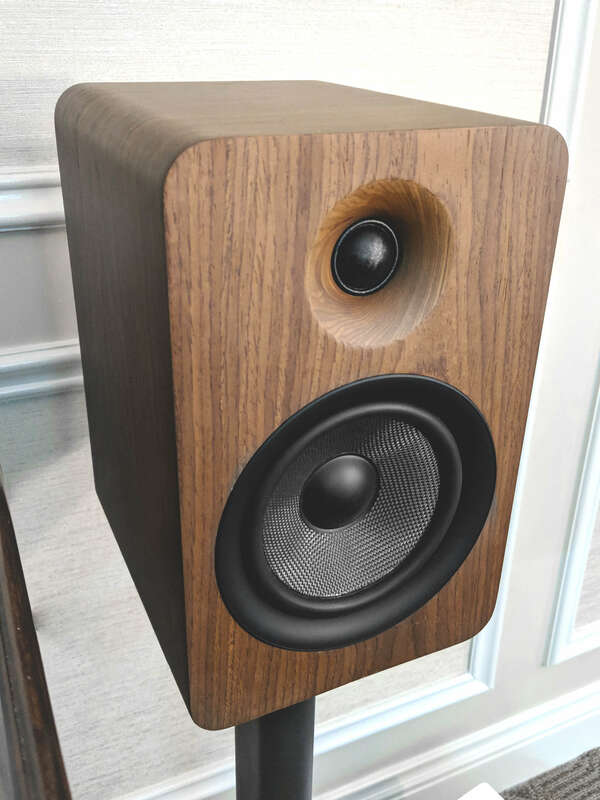 Along with TUK and the rest of our current speaker line, we demoed a new 10” subwoofer prototype and a walnut veneer version of YU6. Expect releases of all three later this year. 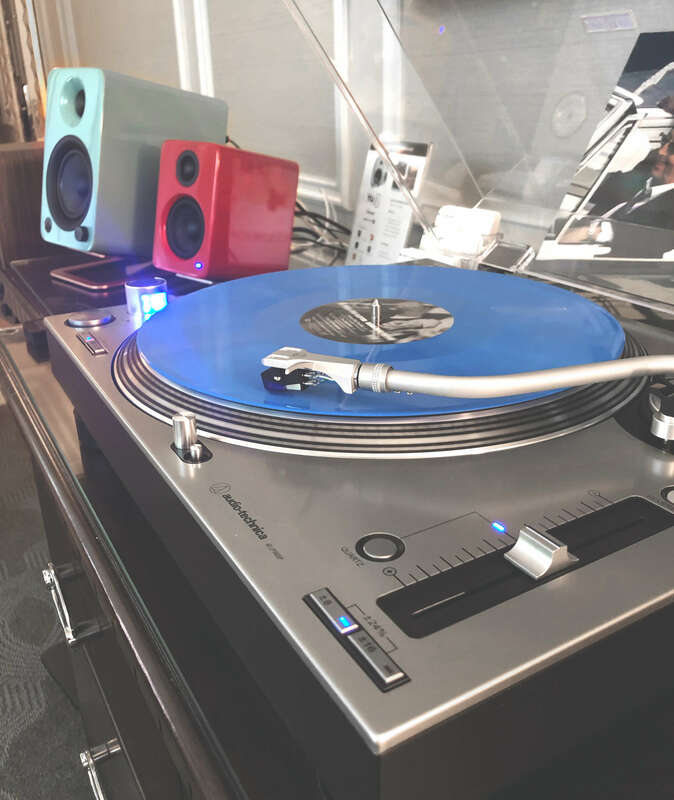 We had the chance to demo one of Audio Technica’s newest turntables, the AT-LP140XP Direct-Drive Professional DJ unit, and we couldn’t stop spinning our favorite vinyl on it. We weren’t the only ones who felt this way. Channa De Silva from Techno Dad came by the suite with his own vinyl selection and couldn’t resist giving the AT-LP140XP a try. What did we see on the showroom floor? So, so much! We were mesmerized by the wall of curved OLED LG TV’s that greeted everyone as they walked into the main hall. These were slightly overshadowed by the LG rollable OLED TV display that had the conference buzzing. There were so many new turntables being shown, we had to give as many as we could a listen. We stopped by Audio Technica’s booth to see what their newest releases were all about. 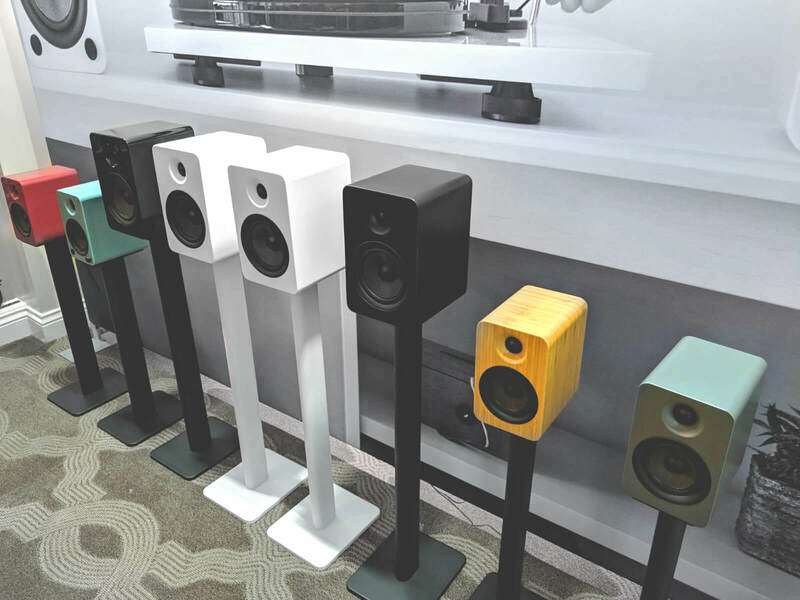 They’ve updated the LP60X line with new features including a headphone model with a built-in headphone amp, a Bluetooth model that will connect to speakers wirelessly and a USB model that will record vinyl. We fell in love with the AT-LPW40WN with its walnut veneer finish, carbon-fiber tonearm, and manual belt-drive. We also came across the $30,000 Bodyfriend massage chair modelled after Lamborghini’s Aventador Roadster. This suped-up chair will remember your massage history, cater to your pain points, and play your calming music playlist. What more could you ask for? A discount, maybe. If you’ve followed us on social for a while, you’ll know that we’ve made our own Kanto beer in house a few times so this next item was right up our alley. 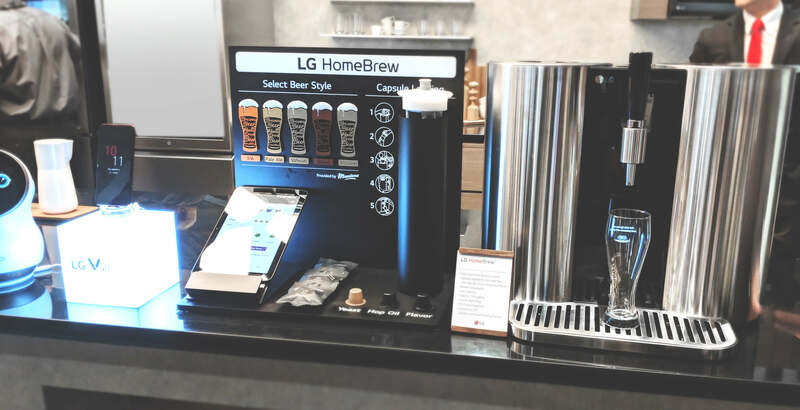 The LG HomeBrew capsule-based craft beer making machine is going to make home brew that much more accessible. With capsules that contain everything you need to make up to five different beers, an optimized fermentation algorithm and a self-cleaning feature, making beer in your kitchen doesn’t have to be tasking. We’re excited for this to roll out. Which Kanto beer should we make next? 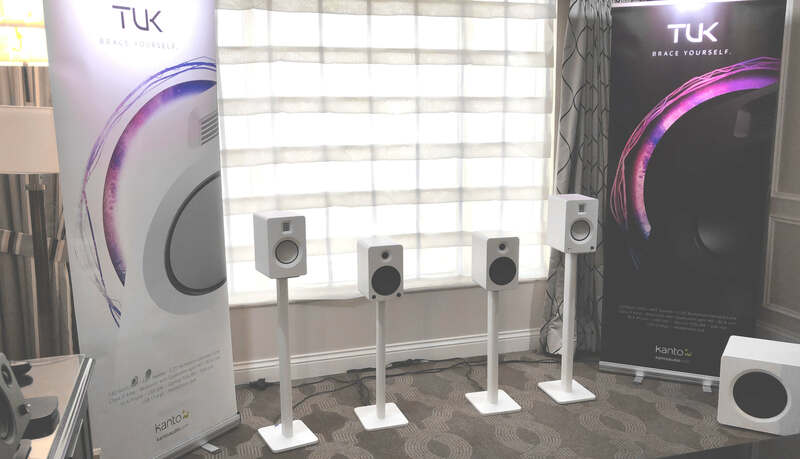 We saw a lot of amazing tech, but our Audio Sales Manager, Jeff Naidu, saw someone he wasn’t expecting. 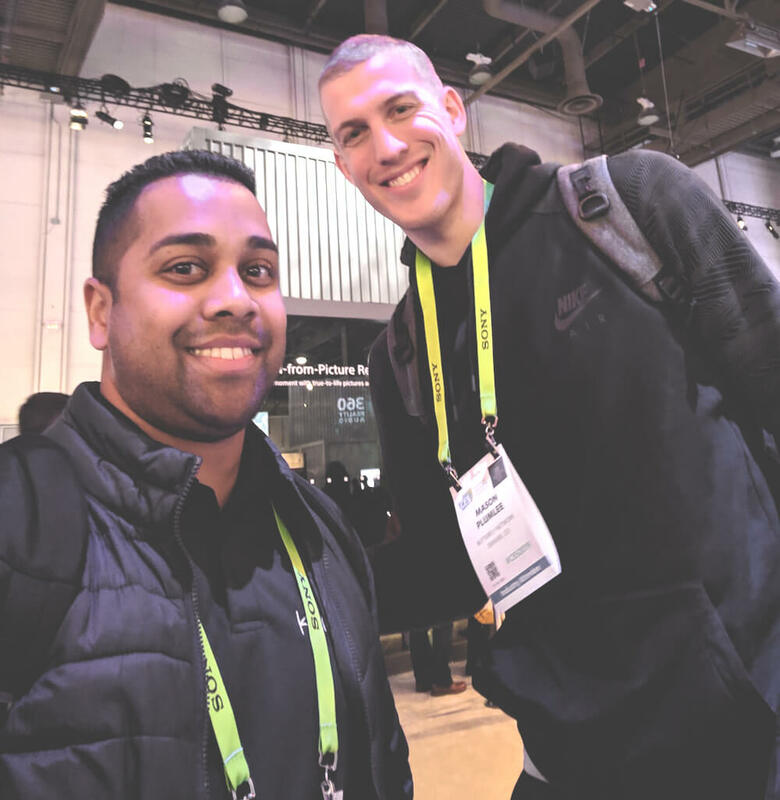 Jeff bumped into Mason Plumlee, Center for the Denver Nuggets. He wasn’t hard to miss among the crowd at 6’11”. We’re big fans, Mason! We hope you enjoyed the show as much as we did. As we made our way back to The Venetian in one of Aptiv’s self driving cars, we reflected back on our years at CES and marveled at the tech we’ve seen and have brought to the show.